The event, Talent Heart to show your talent will be conducted in New Delhi from 30th August to 14th October. 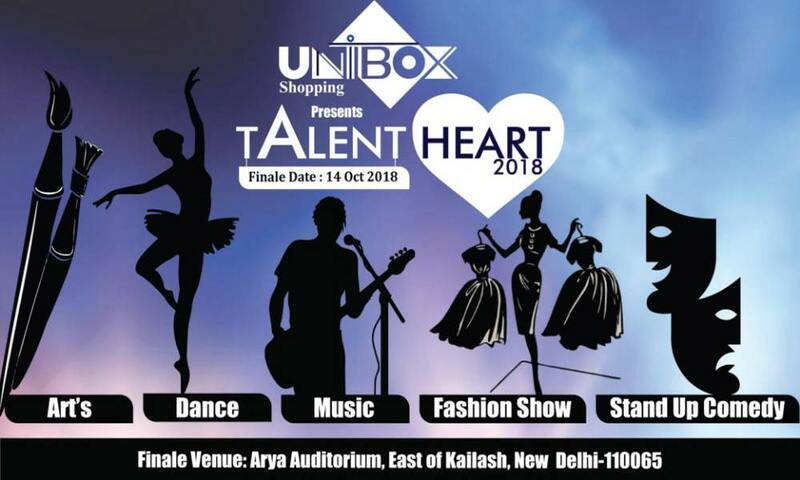 Unibox Shopping is glad to announce our upcoming event Talent Heart a platform for Talents in India. We are inviting the talents from School, Colleges, Institutions, and Academy. The judging panel will be from Bollywood celebrity & professionals. The judging panel search skills in Singing, Dancing, Fashion, Standup Comedy, and Arts. Grooming classes will be given by Senior Choreographers. Don’t Miss the event to turn your dream into reality.